MoistTech Corp IR3000 sensor measuring coating weight to provide a superior product for the end user. Our sensors can measure and control moisture, coating weight, sheet & film thickness, oil, protein and other elements that absorb NIR light. MoistTech Corp sensors can not only measure moisture but also coat weight, sheet & film thickness, oil, protein and other elements that absorb NIR (near-infrared) lighting. Many biomass materials are produced as byproducts, residues or wastes from some other process, operation or industry. Most of these have a valuable energy content that can usefully be channeled into fuel. This also has the benefit of keeping the material out of a landfill. This includes wood, food waste agricultural residues, industrial waste and co-products, and aerobic plants. Some foods are specifically grown to produce energy, like corn. 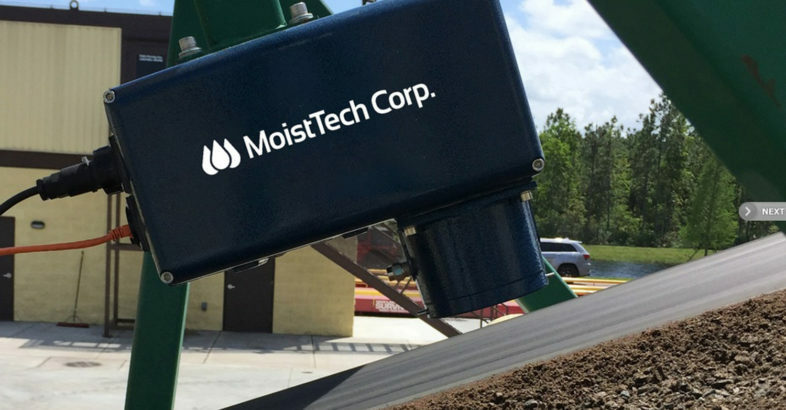 MoistTech Corp. provides industrial sensors to measure and control moisture in almost any type of product. MoistTech Corp. measuring moisture in hog fuel. The moisture content in these biomass products is a critical part of the production. It has been estimated that an increase in the moisture content of some types of biomass from 0% to 40% can decrease the heating value (in MJ/kg) by about 66%. Different amounts of biomass moisture are required for different source materials depending on the process being used. MoistTech Corp. can help measure and control the moisture levels in snack foods, making your products superior to your competitors!